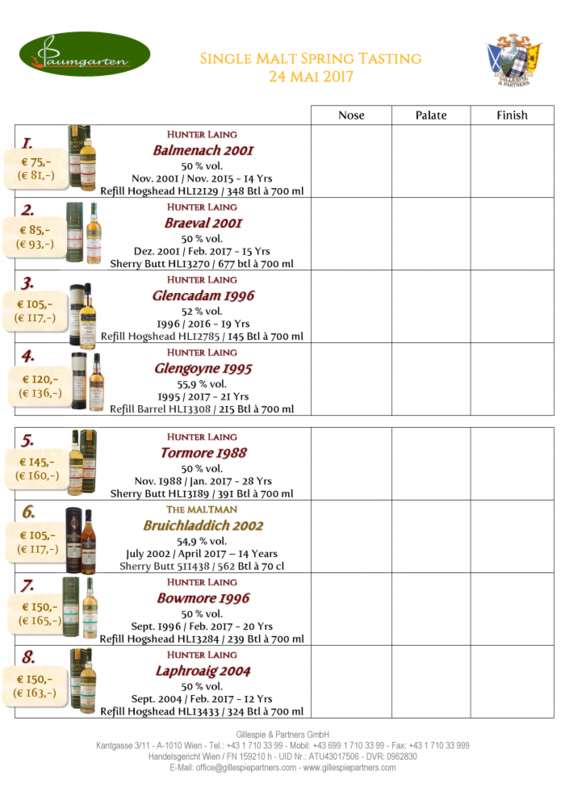 Dear lovers of Scotch single malt whisky! A last tasting prior to the summer season – and a new independent bottler! 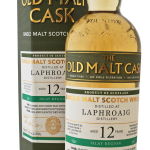 HUNTER LAING – impressive are his bottlings of rather unknown distilleries. The tasting ends with a full load of peat from Islay. (5 – 8 minutes walking distance from the subway station Hütteldorf U4, the tram 52 stops in front of the restaurant). A vegetarian dish is available on request. For Càrn Mòr Society Members and their friends the contribution fee including the menu is € 48,- per person. Please note – the minimum number of guests is 25. The maximum number of guests we can accommodate is 35. Please register in time at office@gillespiepartners.com. Please transfer the contribution fee per person of € 48,- to the following account IBAN: AT02 2011 1300 0106 5720, account no. 300010-65720, with Erste Bank AG, BIC: GIBAATWWXXX, BLZ 20111, Recipient: Gillespie & Partners GmbH, Kantgasse 3, 1010 Wien, reason for payment „Name (John Sample) and „Tasting 24. May 2017“. In addition please register via e-mail at office@gillespiepartners.com.